If you thought Piper looked more sallow, sick, and sad this season, you'd be right. The team purposely made her look "harder and less cute," according to lead makeup artist Michal Bigger. "Her innocence is gone." They used a D&G foundation on Schilling, but applied it strategically "to cave her out." Hairstylist Angel De Angelis noted, "Her hair goes with her long lean self. She's got the long lean hair." The hair team used coconut oil on her hair to make it look droopy. 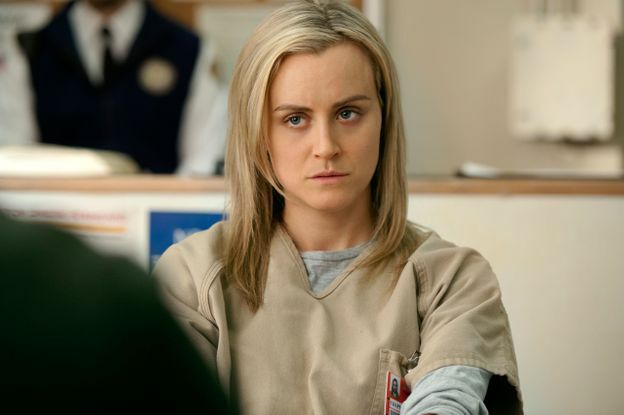 As for how Piper keeps it that blonde in prison? "She goes to see Sophia!"